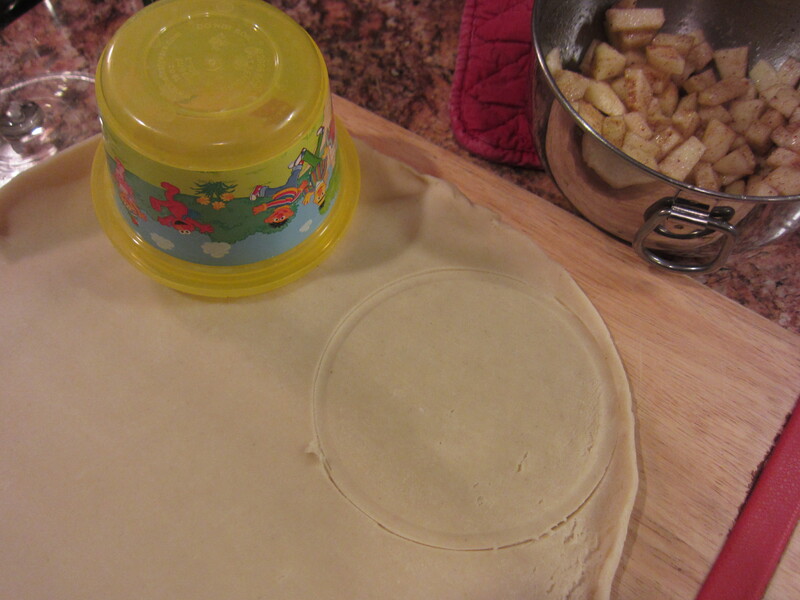 Another fun project, courtesy of Pinterest! 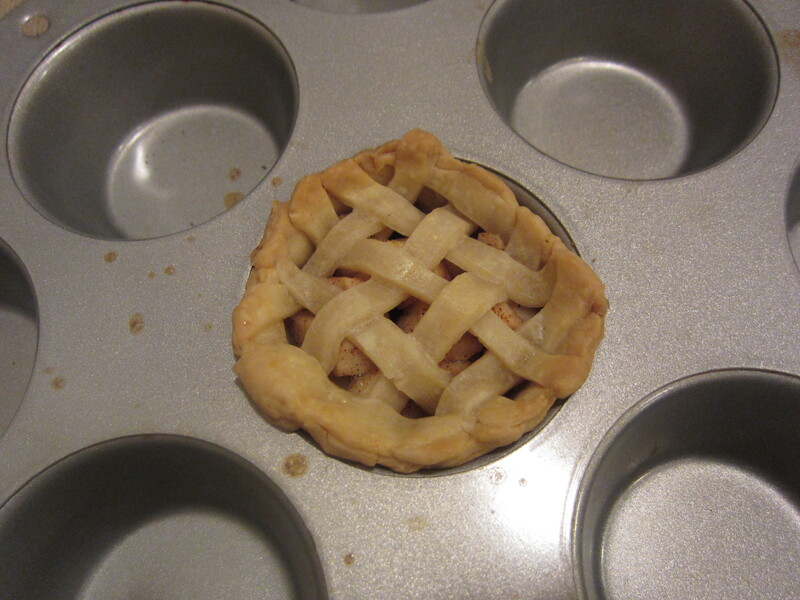 🙂 This was the “silly” project I had in mind the other day, that I never got around to making, and honestly, it wasn’t nearly as tricky as I thought it’d be. 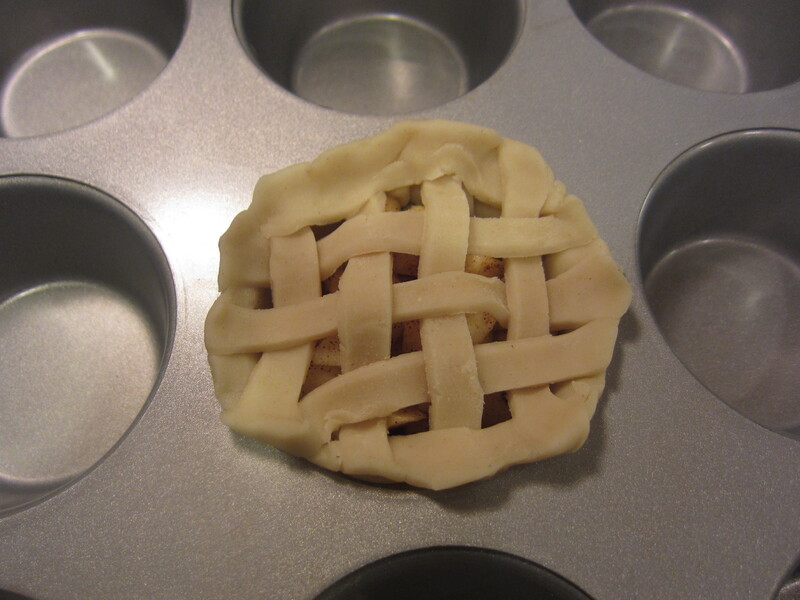 For starters, I used pre-made crust, which takes out all the usual pie-making nonsense. 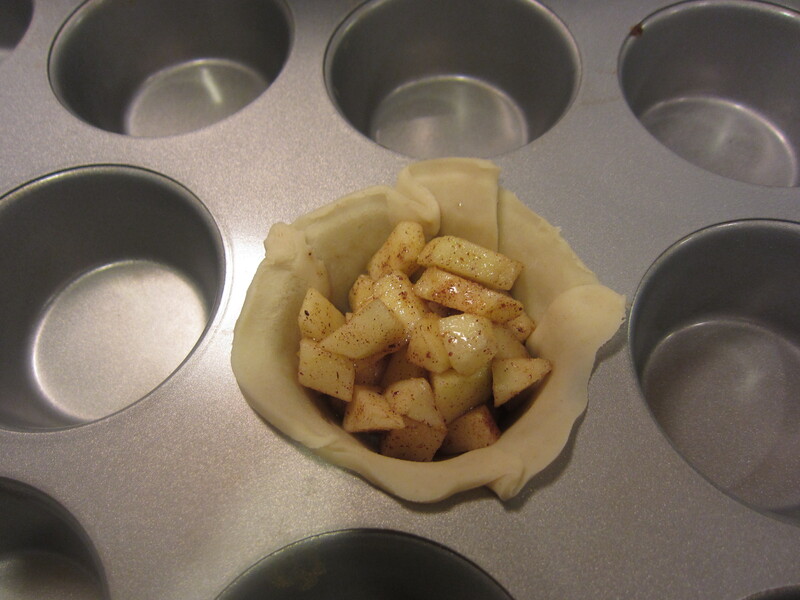 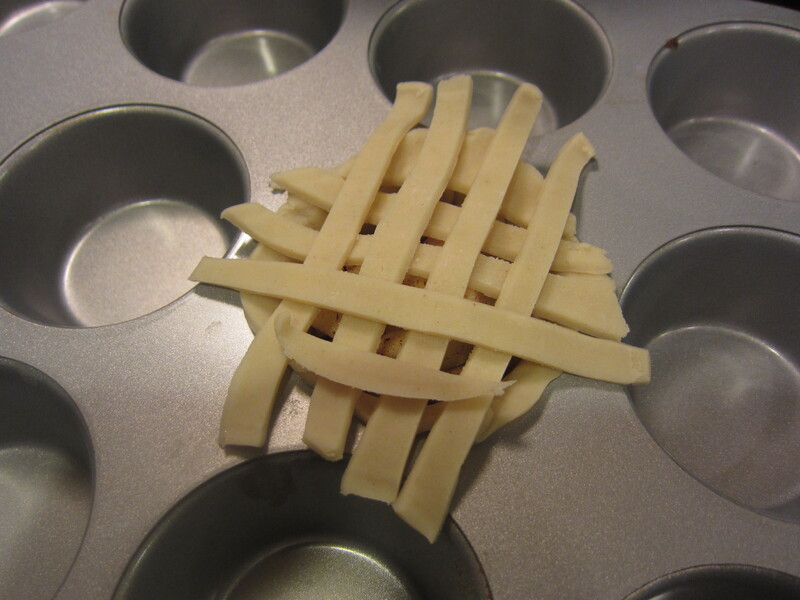 Next, the pies are super-small, so the lattice work is really easy to do! 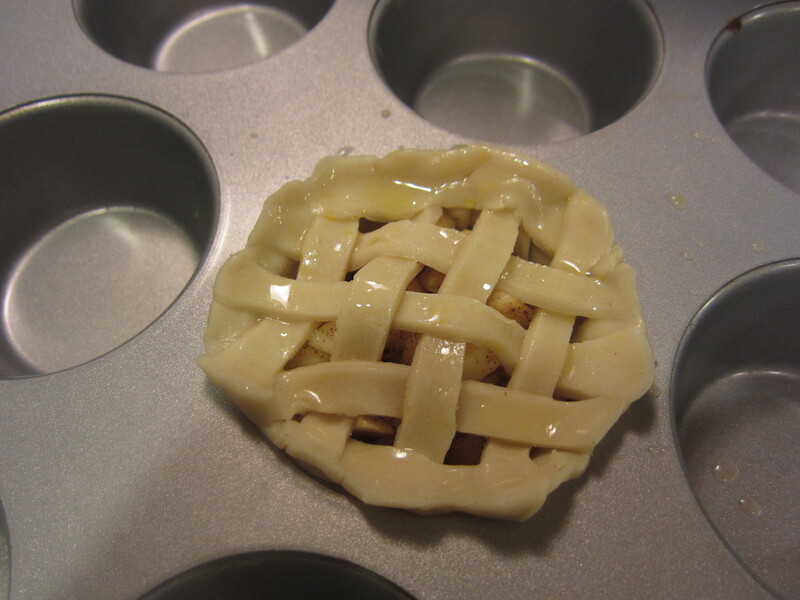 A little egg wash, and then into the oven (350-degrees) for about 25 minutes.